Today I’m going to share a working code to make a very simple compass application for your android device. Some android device (like Huawei Y300 and Lenovo P700i) does not have full support of motions sensors so this code will not work for them. You need to create your own compass image. For this example, I’m using a stock photo. Your image must be a PNG with transparent background, do not use this jpg file I used. My app orientation is locked to portrait mode. There are no special permissions in the Manifest file. Reference: Android Compass Code Example from our JCG partner Mike Dalisay at the The Code of a Ninja blog. 32 Comments Views Tweet it! 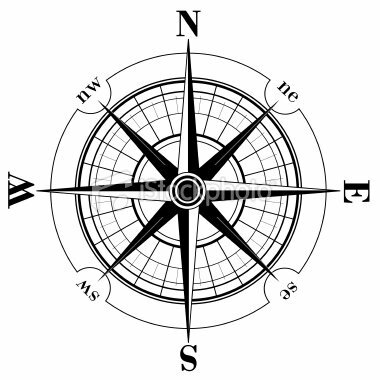 This is late reply but I am looking for someone that can build a special compass for me. Hi, do you have an .apk file with this example? The download link is updated! Have fun! That’s a really neat little app Mike – thanks. Help me plss… Why This…? The Application compass (Process android.compas.try) has stopped unexpectedly. please try again. this app is not working, the image remains static, no motion ever occurs in this app, worst tutorial ever.!! The first time the image point different places in each launch, so it depends on the device position where the image point to the “north”. isn’t it? Hi I want to see your source code for compass application but there is no reply mail from your website! Ive done subscribing my email address but no reply so I couldn’t download your application..:( plz give me the answer Thanks. I have run this app in device but image is not move value is also not change. it is 0.0. Please solve this issues ? its has magnetic sensor or not? Thank you for your tutorial, Mike! I’m trying to customize your code and have one question. Is there any way to blend compass image and background image with Multiply-like blending mode?? Nice use of Rotation Animation. What i can see the following code will work for “Horizontal axis” not for “Vertical”. its not working on my tablet z1000 zync. The image is not rotating! I don’t know why?! Image is moving along with the mobile orientation as it wants . but its not showing the correct direction as in compass..